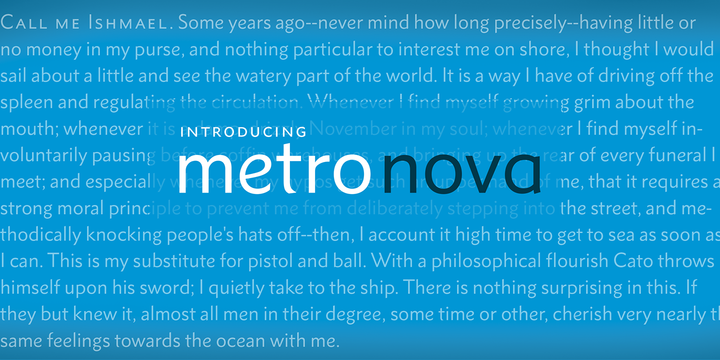 With Metro® Nova type designer Toshi Omagari is presenting a revival of the classic font, Metro, designed in the 1920’s and 30’s by William Addison Dwiggins. The rediscovery of the original design thus shows a facet of the popular font, which has been largely unknown until now.Metro Nova comprises seven weights, from ultra thin to extra black in regular proportions, and six weights as condensed designs. Each has an italic counterpart for a total of 26 fonts. The family is available as OpenType® Pro fonts, which provide for the ability to easily insert typographic features such as ligatures, fractions and alternate characters. Pro fonts also offer an extended character set to support most Central European and many Eastern European languages. Metro Nova is well equipped for a variety of applications. Metro Nova not only cuts a good figure in advertising and headlines, but thanks to its relatively high x-height it also makes a good impression in small font sizes. 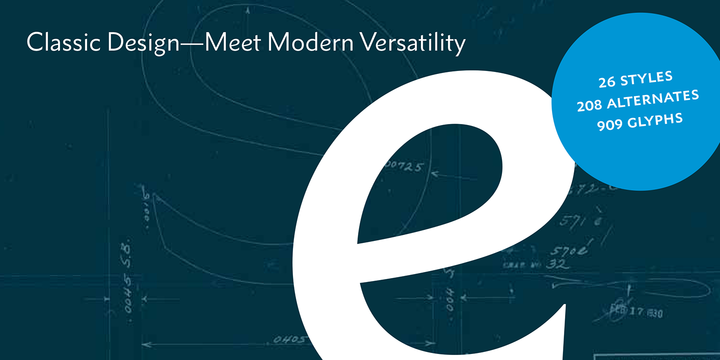 As a classic font with a modern aura Metro Nova is thus a strong typographic all-rounder, with the capacity to master the most diverse tasks to perfection. This entry was posted in Font Highlight and tagged Classic font, Metro Nova, Modern font on October 17, 2013 by alt.TYPE.